for the table. And for Spring it's the color du jour! Not quite pink, not quite orange, not quite red, some things can only be described as coral. 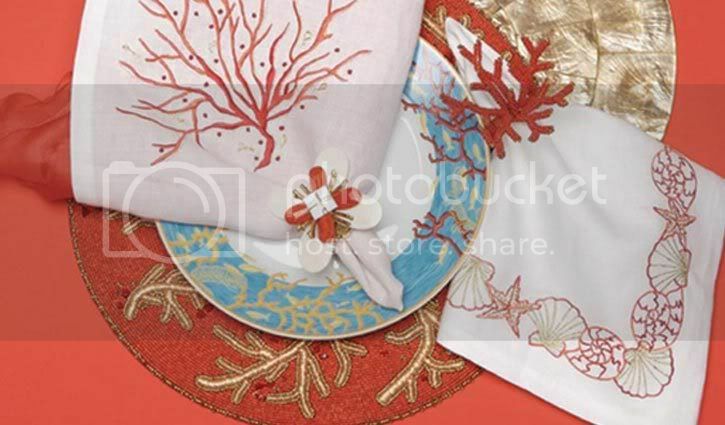 inspiring decorative motifs on everything from placemats to napkin rings. in white. You haven't seen underwater action like this since you last went scuba diving. fun. 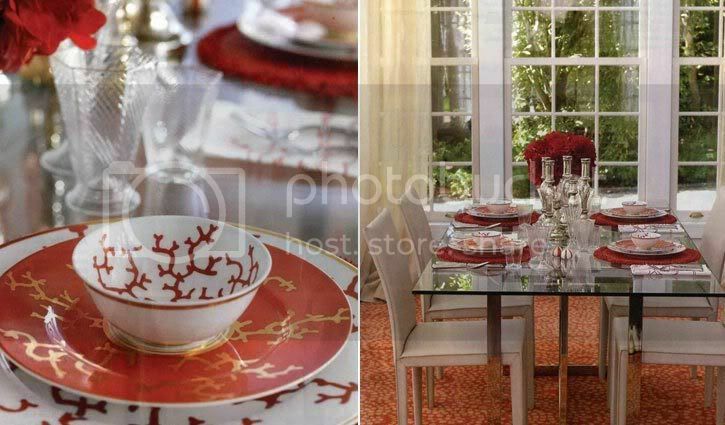 Perk up any setting with an unexpected accent of coral (a little goes a long way)! to pale white, the overall effect is simply striking. BTW, I L-O-V-E your blog! No credit/designer info? I'd like to know where to get that fab blue coral bowl. Hi Allison, thanks for stopping by. I was so excited about this post that I hit the "publish" button to quickly and forgot to include my source info. I'm glad you like the blue coral bowl. Raynaud, the traditional French porcelain manufacturer from Limoges produced this dinnerware pattern. 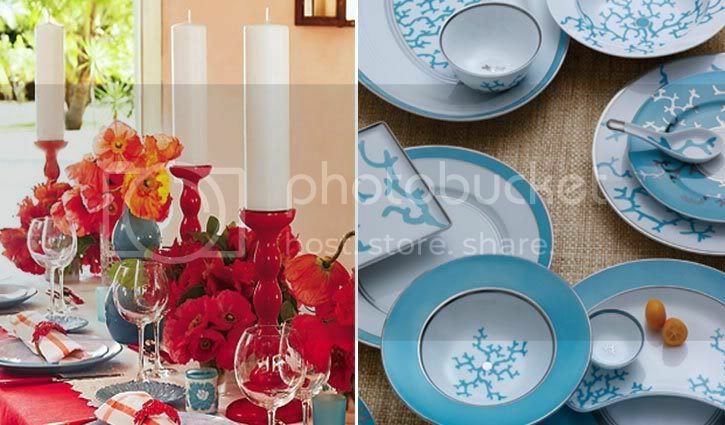 The pattern is called "Cristobal Turquoise" and you can purchase the bowl from Bloomingdale's. Hi, The coral theme is absolutely beautiful and I've noticed is becoming quite popular. Unfortunately, the coral reef community is actually a little concerned that promoting coral as decor may encourage collecting of live coral fragments, thus harming coral reef ecosystems. 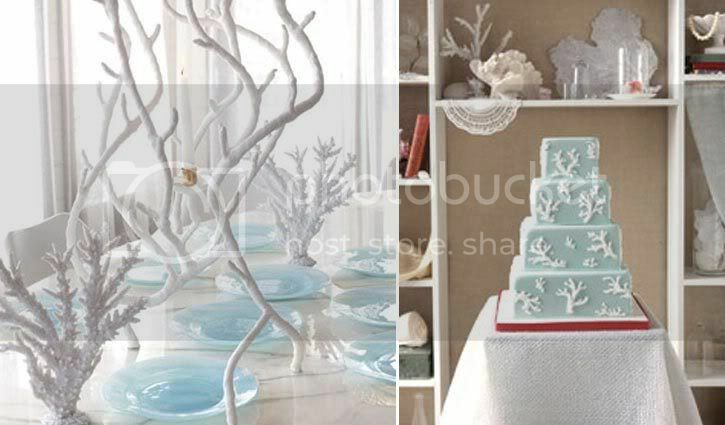 Could you add a note, for example, to the the comment of dressing your table with branching coral centerpieces that these are (I am assuming) sculptures and not to collect live coral? Thanks! Where can you find the tall white branch like coral on the table with the candle in the middle?